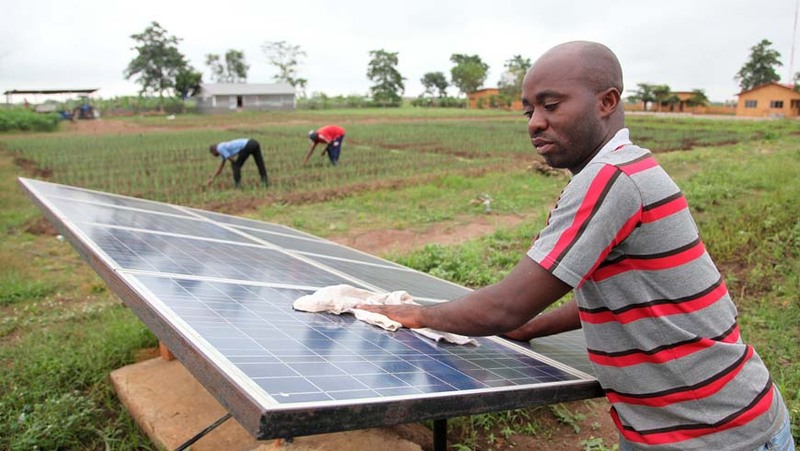 Developing renewable energy is a strategic effort to mitigate climate change in Benin. Photo by UNDP Benin/Giacomo Pirozzi. Benin has its fair share of energy challenges. Only a third of the nation’s population has access to electricity, frequent outages disrupt service, over 80 percent of the nation’s electricity is imported, wood remains a prime source for cooking, and a changing climate means higher temperatures and even greater strains on the nation’s energy supplies. This story was originally published by UNDP Climate Change Adaptation. You can read this story in French here.